When was the last time you gave your hair tools and accessories a good clean? 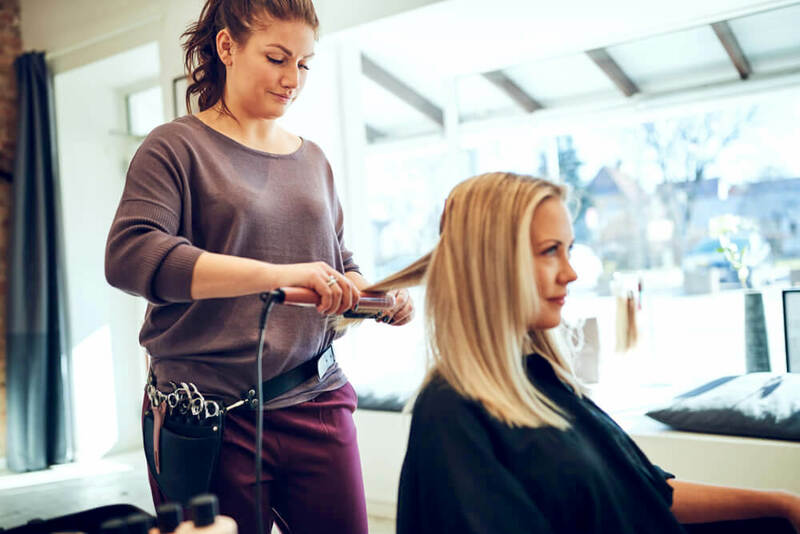 If you can’t remember, then it is likely that all of your hair tools are now home to a large and growing population of bacteria, germs and dirt. If you want your hair to look and feel as healthy as it can, while also ensuring that your tools last for as long as possible, cleaning your hair tools on a regular basis is so important. From your hairbrushes and combs to curling irons and straighteners, here are a few tips on how to keep your hair tools clean. Just like with your hairbrush, so much dirt, oil and product residue will build up on your comb, making regular cleaning vital. All you need to do is remove any loose hairs that have gotten caught in the comb’s teeth, before soaking it in a warm water and shampoo mixture for about ten minutes. Rinse your comb clean and then leave it to air dry. Again, your comb should be cleaned at least once a week. 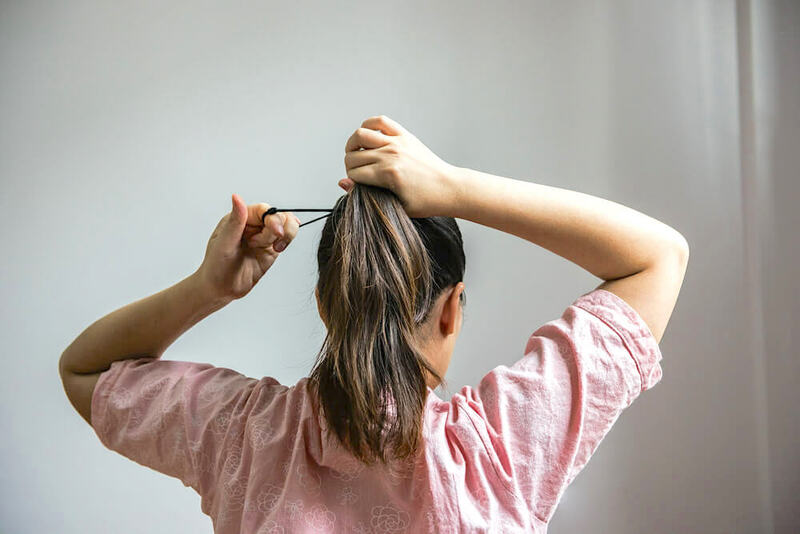 Your hairbrush is likely to be the hair tool that you use the most, and is one that will come into contact with your hair and scalp on a daily basis. As you can imagine, the last thing that you want to be doing is transferring all of these back on to your hair! So, how do you go about cleaning your hairbrush? Begin by using a pair of scissors or a rat tail comb, sliding this under any hair that has gotten stuck in your brush. Tug these hairs upwards until you have loosened them out of the bristles. Of course, if there isn’t much hair in there, you are likely to be able to do this with just your fingers. Fill up a sink or bowl with warm water, and add in a squeeze of shampoo. 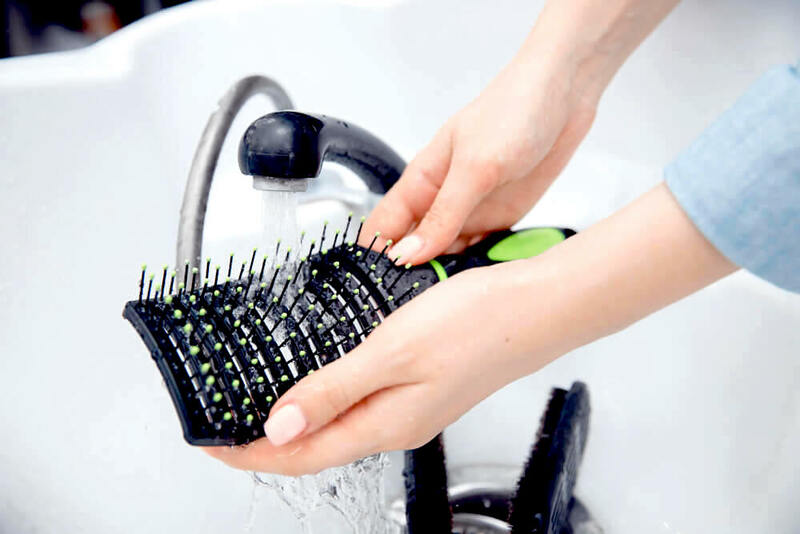 You can then either leave your hairbrush to soak in this solution for a while, or use an old toothbrush to scrub at your hairbrush, which will remove any buildup. You may also wish to give your hairbrush a quick rinse to get the shampoo out after this. After that, you can either leave your hairbrush to air dry, or use a blow dryer to speed up the process if you need to use your hairbrush soon. Keep in mind that some brushes can take quite a long time to dry, so you may want to time your cleaning session for the evening, so that you can then leave your brush to dry overnight. How often should you be cleaning your hairbrush? Ideally, you should be pulling out any loose hairs from it after each use. When it comes to washing your hairbrush, try to do this at least once a week. Hopefully, you are using a heat protecting spray on your hair before using a curling iron or a flat iron. These will coat each strand of hair, protecting them from the high temperatures while also giving your hair some added gloss. While these sprays are essential when it comes to healthy hair, they do also end up leaving behind a slight residue on your heated styling tools. These then build up, especially if you use other hair products too, providing the perfect breeding ground for bacteria and other germs. Begin by making sure that they are unplugged. Then, use a microfiber cloth and some warm water to wipe down all of the barrels and plates, including the inside of the clamp. When it comes to any small nooks or crevices, a cotton swab that has been dipped into some warm water should do the job. Finding a few bits of stubborn residue that simply won’t budge? One way to tackle this is by turning your iron on, and putting it on its lowest heat setting. Then, use a microfiber cloth to clean away this residue. Be very careful if you do this, and make sure to use a heat-safe glove to save yourself from any burns. Chances are, unless your hair dryer is new or has been recently cleaned, there are numerous little particles blocking up the vent, and also covering up the filter. It blocks the ventilation that your blow dryer needs in order to work efficiently, as well as safely. The vent in your blow dryer needs to be clear, as this helps to protect the dryer from overheating and exhaustion. In order to ensure clean and consistent air flow, while also protecting your hair dryer’s motor, regular cleaning is a must. But how exactly do you go about cleaning a hair dryer? Once everything is clean and dry, put your blow dryer back together and then turn it on. 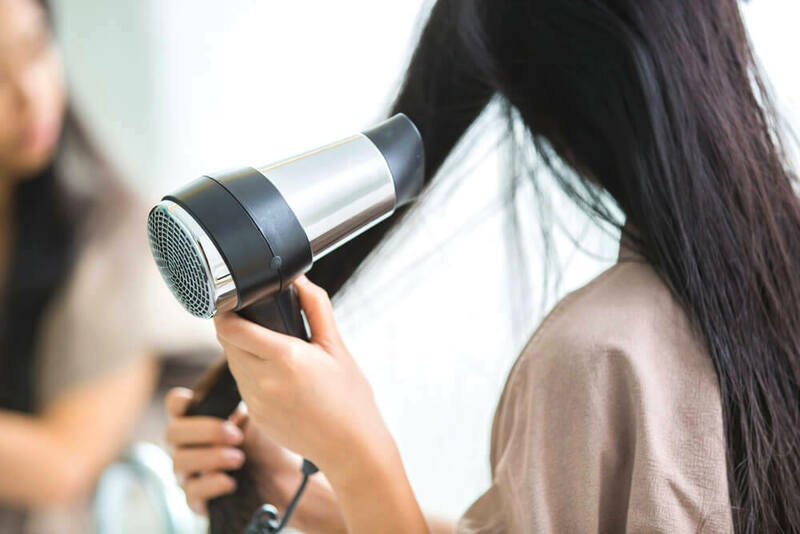 Let it run on its lowest speed for a few seconds, as this will ensure that any small particles that fell into the dryer while you were cleaning it can be released, rather than being blown back onto your hair. Just like with curling and flat irons, hair straighteners end up collecting quite a bit of product residue. When these bits of residue clump together, they end up snagging on your hair as you run your hair through the plates, resulting in a rougher finished texture. 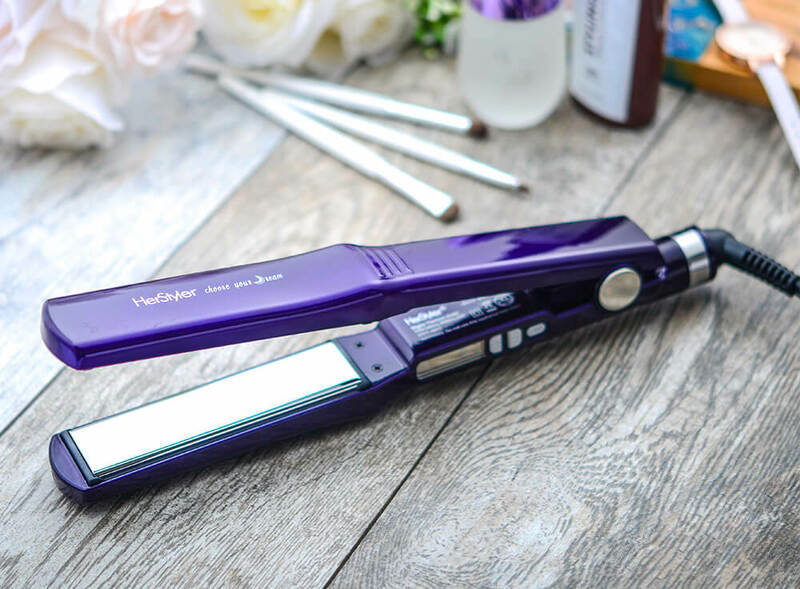 Before attempting to clean your straighteners, make sure that they have been unplugged, and have fully cooled down. Then, just like with a curling or flat iron, a cloth dipped into some warm water and then rubbed over the plates should clean them well. Again, a cotton swab is ideal for small crevices. Dip your cloth into some rubbing alcohol, and then give the plates a good rub. Whether you use plastic or Velcro, cleaning your rollers is so easy, and pretty much follows the same method as brushes and combs. If you can still see some dirt and oil on your rollers, try following up the cleaning method above with a soak in a vinegar solution. This will help to clear away any stubborn areas of build-up. 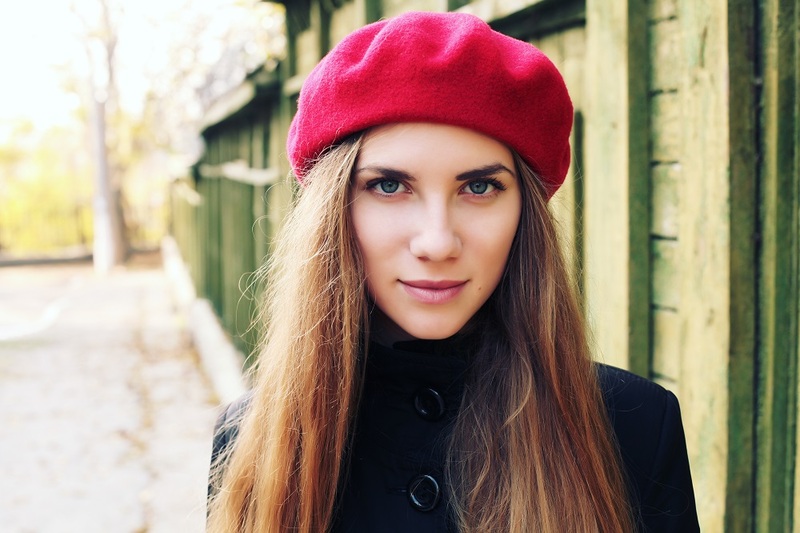 While your other hair tools likely remain in one part of your house, your hair accessories regularly come into contact with the outside world. Because not only do they end up holding the dirt, bacteria, product residue and sweat that build up in your other hair tools, but they will also contain pollution and other particles from the outside environment. All of this can really take a toll on your skin, so make sure that you are cleaning your hair accessories regularly. Wondering how to clean your hair accessories? Fill a sink or a bowl with some warm water and add in a few drops of your favorite shampoo. Then, put all of your hair accessories in, whether this may be headbands and clips or hair ties and bows. Give each accessory a rub clean with your fingers, as this will loosen any build-up, grease and dirt. Then, rinse them off before placing them on to a towel to air dry. How often should you be cleaning your hair accessories? That really depends on how much you use them. Try to aim to give them a clean after every two uses. Tempted to cheat and throw them in with your laundry instead? This may seem like an easy way out of an extra cleaning job, but the detergent you use in your laundry is likely to end up damaging your hair. Many people, especially those who have bangs, often trim their hair themselves, making use of hair scissors for this. Just like anything else you use on your hair, these scissors need to be cleaned too. Dip a cotton ball into some rubbing alcohol and then rub this along the blades to remove any residue. Make sure that you are extremely careful, as you don’t want to end up cutting yourself. Then, hold the scissors with the tip pointing downwards, and the blades open at a 45 degree angle. Place a few drops of clipper oil at the point where your scissors pivot, before opening and closing them a couple of times to ensure that the oil soaks in. In the morning, hold them in a downwards position again, before opening and closing them a few times. Finish by wiping the blades clean. How often should you be doing this? Ideally, you should be cleaning hair scissors after each use. This will prevent product from building up in the first place, therefore saving your hair from any unsightly snags. Want to cut back on how often you need to clean your hair tools and accessories? The best way to do this is by ensuring that you store them properly, as this will minimize the amount of dust and environmental pollutions that come into contact with your tools. Proper storage will also help to extend the life of your hair tools, meaning that they won’t need to be replaced quite so often. How should you be storing them? There are plenty of tool holders out there. These are designed to work with just about any space in your home, be it the inside of a cupboard, a shelf or a drawer, and will feature multiple pockets and sections into which you can place each of your different tools and accessories. For many hair tools, the cleaning process is similar, meaning that you can clean multiple tools at once. While this may seem like extra work, keeping your hair tools and accessories clean will really benefit you in the long run, not only giving you healthier hair, but also when it comes to the lifespan of each tool.